Cannabis cultivation operations are dumping sediment, pesticides, fertilizers and trash into the rivers, diverting water for irrigation which has left some riverbeds dry and others unable to sustain the wildlife that depend on the region's waterways, and killing large numbers of wildlife with rodenticides meant to keep rats out of the cannabis plants. The global cannabis industry is maturing, but it hasn't yet outgrown the awkwardness of adolescence. It still doesn't know how to mind its manners. From The Guardian, "Breakthrough as US and China Agree to Ratify Paris Climate Deal." From EcoWatch, "Humboldt County's Marijuana Boom is Destroying Redwoods and Killing Rare Wildlife." Last November, just before global climate negotiations began in Paris, the G20 released a statement calling climate change "one of the greatest challenges of our time." Just prior to this year's G20 summit, on September 3rd the world's two heaviest greenhouse gas producers - China and the U.S. - jointly committed to ratifying the Paris climate agreement. Punctuating the urgency and seriousness of the commitment, China's President Xi Jinping said, "Our response to climate change bears on the future of our people and the well-being of mankind." U.S. President Obama stressed, "Just as I believe the Paris agreement will ultimately prove to be a turning point for our planet, I believe that history will judge today's efforts as pivotal." Whether or not the cuts to greenhouse gas emissions proposed by the G20 are sufficient to avert the climate disaster some believe is looming is hotly debated, but one thing is for certain: The world is more focused than ever on the environmental effects of our human carbon footprint and on implementing regulations to ensure that, planet-wide, industrial production is made to become less environmentally harmful. At the very time the world is focused on limiting environmental pollution, the global cannabis industry is earning a reputation as an ecological vandal. EcoWatch quotes Natalynne DeLapp, executive director of the Environmental Protection Information Center: "The single biggest threat to our environment right now has been unregulated cannabis. In the last 20 years we've seen a massive exponential growth in cannabis production in the hills of Humboldt County and we've seen really devastating environmental effects." Cultivation operations are dumping sediment, pesticides, fertilizers and trash into the rivers, diverting water for irrigation which has left some riverbeds dry and others unable to sustain the wildlife that depend on the region's waterways, and killing large numbers of wildlife with rodenticides meant to keep rats out of the cannabis plants. To promote organic cannabis and protect their environment, a group of responsible cannabis growers in the area have formed the Humboldt Sun Growers Guild. They've now turned to local government to request regulation of their industry's energy, land, water and pesticide use and banning the conversion of timber lands for cannabis operations. As one member explained, "It's about protecting the small and mid-range farmer and creating a viable industry that's going to pass all the environmental scrutiny it needs to. We welcome environmental regulation." While the EcoWatch article addresses damage by outdoor growing in Northern California, indoor cannabis cultivation is wreaking its own environmental havoc across Canada, the US and Europe, and it won't go unnoticed. Recognition of these effects is not new. A 2013 article in AlterNet explained "Why Growing Cannabis Indoors Is a Major Environmental Problem," citing the widely referenced 2011 study by Evan Miles at Lawrence Berkeley National Laboratory that even then found indoor cannabis production accounted for "1% of national electricity production, using $6 billion worth of energy per year, and creating greenhouse gas pollution equivalent to that of 3 million cars." As the steady march toward legalization progresses, concerns are logically being expressed that these problems will only increase -- unless they're addressed now. Today's methods for the indoor production of cannabis originated in the need to keep an illegal business hidden. In the days of absolute prohibition, those methods generally satisfied the need for secrecy -- but at a high cost. They demanded electricity for the grow lights and then more electricity for cooling systems to draw off the heat from the grow lights. They demanded a place for the unwanted heat to go (which might be a nearby creek). And indoor production demanded piped-in water to irrigate thirsty plants that were sealed off from rainfall. 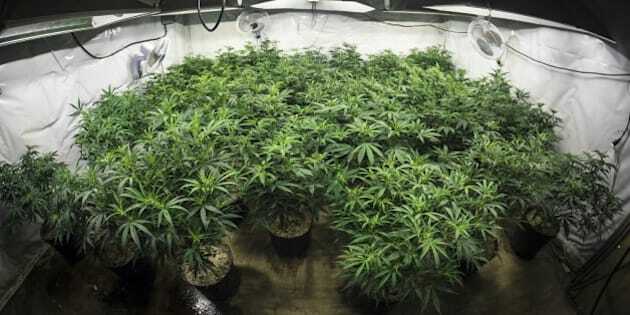 Indoor growing still makes those demands, even when the growing is legal, and no method has been devised to keep that production mode from being an insult to the environment. The thought of being bad ecological citizens never bothered some illegal growers, for whom it was just part of being an outlaw. The legal growers who are taking over the industry won't be allowed to imitate them. The worldwide trend toward the legalization of cannabis -- the whitening of a previously black market -- isn't merely a trend toward permissiveness for users. It is also a trend toward regulation of providers. The regulatory regimes established so far have been modeled on the rules for alcohol: strict licensing requirements for producers and sellers, restrictions on vertical integration, standards for purity and labeling and a prohibition on sales to minors. But a social process now underway will extend the rules to cover other topics. Recent complaints about environmental damage from cannabis production are a signal that regulation of the product won't stop with the kind of rules that apply to beer and vodka. From here on, the legal cannabis industry should expect licensing requirements to include enforceable commitments to environmental standards. Want a permit to build a large-scale facility for growing marijuana? Please answer our inconvenient questions about where the water and electricity are going to come from and where the waste products, which include 99% of the plant material, are going to go. Regulatory frameworks will develop jurisdiction by jurisdiction, but not in isolation. The point of view of environmental regulators is global. They became regulators because they are attuned to the ways in which seemingly local activity can affect the entire planet. For that reason alone, the environmental elements of cannabis regulation will be driven by an urge for international uniformity and harmonization. And because cannabis (unlike, say, coal) is just now becoming legal, it offers a regulatory blank slate. Today's regulators have an opportunity to get it right, with no need to accommodate longstanding local rules. Some readers may know how circumspect I am about government regulation. People who produce shouldn't be made to suffer cost-blind kibitzing from people who only produce rules. But cost-aware regulation -- rules that require producers to bear the full environmental cost of what they produce -- are another matter. Such rules would deliver powerful incentives for avoiding damage to the environment, and they would help steer the legal cannabis industry toward the locations and toward the production modes that make sense both economically and environmentally. For optimal, rapid growth, cannabis requires warm temperatures. It requires consistent moisture. And as a prelude to abundant flowering, it requires a cycle of 12 hours of light and 12 hours of darkness. Those conditions are available outdoors, naturally and for free, in the equatorial regions of the planet - and nowhere else. Go there. As the prohibitions on cannabis are repealed, the cost of importing the material to Europe and North America -- which currently includes all the expenses of a smuggling operation -- will drop to basic shipping cost, which for cannabis is trivial. As that happens, with no prodding from anyone, production will migrate to areas near the equator. Cost-aware regulation, which requires producers to pay for the environmental effects of what they do, will only speed that migration.